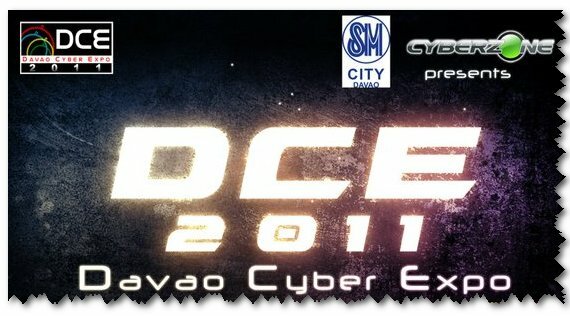 Hello everyone, it’s another successful year of Davao Cyber Expo 2011. To those who participated, attended and support the said event, I am sure they've bacon the fun and excitement at DCE. July 29 and 30, are the two short days for witnessing the gaming elimination. Even though they’ve started it prior to July 29, it would be the best if the elimination round will be in the event proper.!. I understand why the DCE management got a little bit confused with the game bracketing because it’s a big event...needs more time and preparation to do. No one can argue, that Dota is still the hottest game in DCE , kahit meyron pa mang NBA2K11, Street Fighter and even the facebook Tetris battle, Dota pa rin ang number 1. LAN Party Extreme was very impressive for me because that was my first time to see computers in an aquarium.lol… I loved the customization; it’s totally away from a black box or traditional PC. Intel is truly fantastic and Blinque Tech is superb! July 31, the culmination day of DCE 2011, I came around at six pm in the SM Event Center and the mall was very crowded well, I guess because of the presence Ms. Alodia Gosiengfiao, the Cosplay goddess as the special guest in the cosplay competition.She's cute and hope she would come back next year. In fairness most all the contestant shows off their best intricate costumes at the cosplay event, the best. Too late when I arrived I have only witness the winner’s announcement.lol.. I won’t lengthen this post; I just want to congratulate the DCE for making the event successful. Not just for teasing us to buy their High-End gaming machines or for the prizes but it’s all about “the fun and for being unique through-out the Philippines”. Congratulation to all the winners! Let’s continue to support DCE for more coming years. Kita-Kita ulit next year .Kudos!